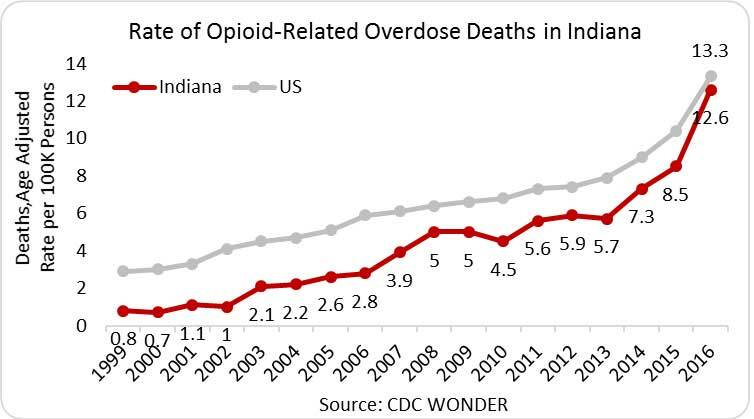 In 2016, there were 794 opioid-related overdose deaths­­­ in Indiana—a rate of 12.6 deaths per 100,000 persons compared to the national rate of 13.3 deaths per 100,000 persons. A large increase in heroin-related overdose deaths occurred from 2012 to 2016—from 114 to 297 deaths. 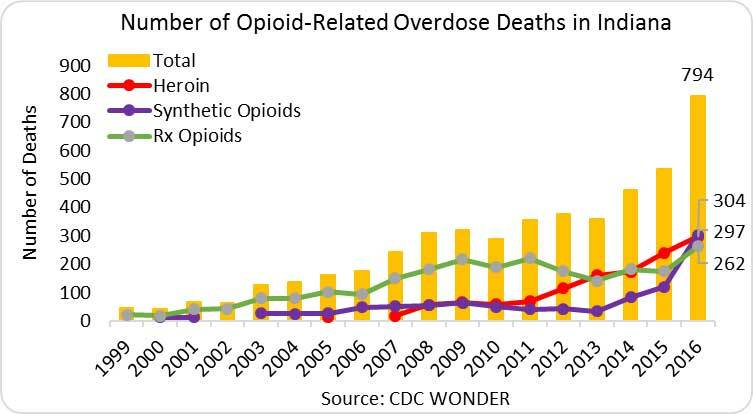 Deaths related to synthetic opioids also increased in the same period from 43 to 304 deaths. 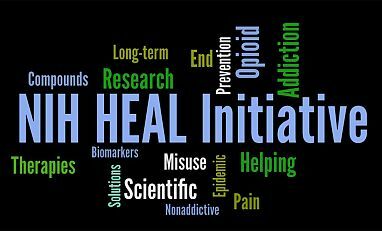 In 2015, Indiana providers wrote 109.1 opioid prescriptions per 100 persons (approximately 5.8 million prescriptions). (IMS Health, 2016). A CDC study analyzing 2013 NAS data available across 28 states estimated the national average NAS rate at 0.6 percent of live births (CDC, MMWR, 2014). Data for NAS rates in Indiana are unavailable. State Incidence: Of the new HIV cases in 2015, 632 occurred in Indiana, with 7.6 percent1 of new cases in males and 5.6 percent of new cases in females attributed to IDU (AIDSVu). State Prevalence: In 2014, an estimated 10,279 persons were living with a diagnosed HIV infection in Indiana—a rate of 188 cases per 100,000 persons. Of these, 14.0 percent1 of males and 15.9 percent of females were living with HIV attributed to IDU (AIDSVu). State Incidence: In 2015, Indiana reported 7,004 cases of chronic HCV and 140 cases of acute HCV—a total of 7,144 cases at a rate of 107.9 cases per 100,000 persons. Where data were available, 30 percent reported IDU. 8.6 percent of persons with HIV are co‐infected with HCV, and of these, 34 percent reported injection drug use. In contrast, 97.1 percent of co-infected cases reported in the 2014 Scott County outbreak were attributed to injection drug use (IN.gov). State Prevalence: As of 2015, an estimated 81,538 persons were living with HCV in Indiana (IN.gov).